Weisan has been teaching vocals for several years, in both Cantonese and English, in a wide range of styles including rock, pop, jazz and musical theatre. Her teaching experience has varied, from schools and academies to private studios and homes, both in the U.K. and Hong Kong. She has been trained as a vocal instructor by some of the best vocal Master teachers in the world, including Jeffrey Skouson, Spencer Welch, Greg Enriquez, Kathy Kennedy and Stephanie Brom-Krueger. Starting as a closet singer when she was a kid (quite literally! )…She loved music and singing but never wanted anyone to hear her sing – hiding in a wardrobe to do it so no one would hear her! Weisan didn’t take her first lesson until she was 14 and never looked back. Encouraged and inspired by her voice teacher at the time, she decided to pursue a career in music. Weisan started performing when she was in Northern Ireland, at 15 years old. She enjoyed singing lead and backing vocals in local bands while furthering her studies in music. This gave her the opportunity to tour the UK, Ireland and France with former band ‘Braille Acoustics’, as well as featuring on BBC Radio One’s ‘Evening Sessions’. Weisan has enjoyed singing as a lead and backing vocalist in various covers and originals projects. Aside from her passion for singing and teaching, she loves songwriting and is always writing and performing new material. 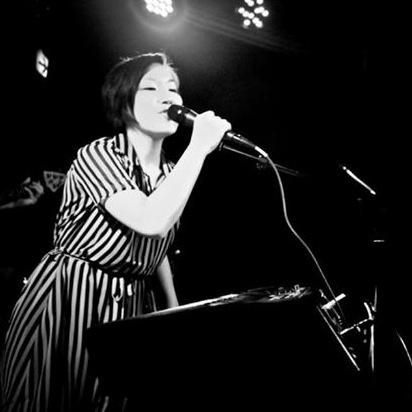 Her formal studies started in Bangor, Northern Ireland, which lead her to a vocal degree in London (VocalTech/London College of Music now known as BIMM London). Gaining a wealth of musical knowledge but never quite satisfied with her vocal technique, she was faced with the same stumbling blocks that most singers have – hitting the high notes smoothy and consistently. She luckily came across a technique called Speech Level Singing (SLS) which helped her overcome these stubborn vocal problems throughout her career. The results were instant and she was hooked. Not long after, she was offered a vocal teaching job and became a part of the SLS training programme. Weisan takes great pride in her work and believes it’s important to continue developing as a singer, songwriter and teacher. 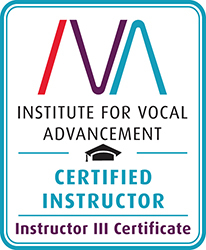 She now trains and teaches using a similar vocal technique called IVA (Institute of Vocal Advancement). Armed with the knowledge and tools she learns through IVA, she’s certain she can help her students effectively. She loves discovering, developing and nurturing voices from all walks of life. She thrives on new challenges and musical situations, and combines her experience and a professional attitude with an easy-going and friendly nature. If you would like to book a vocal lesson with Weisan, get in touch with us.